Home | Posts tagged "regatta"
The Venice Historical Regatta will take place on Sunday, September 3rd, (the Regata takes place the first Sunday of September) and it will have its climax in the beautiful “gondolini” racing, a fascinating race, rich in tradition and historic rivalries as well. 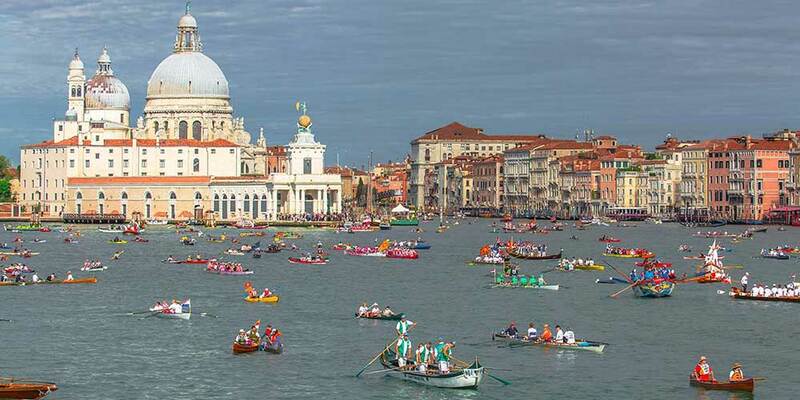 Before the official races, there will be a beautiful historical parade which recalls a particular episode of Serenissima’s history: the triumphant return of Caterina Cornaro from Cyprus to Venice in 1489.
Who was Caterina Cornaro, and why is this recurrence celebrated? What’s her story? Caterina’s story is in fact the story of a strong, courageous and beloved woman which mixes strong feelings and political intrigues. 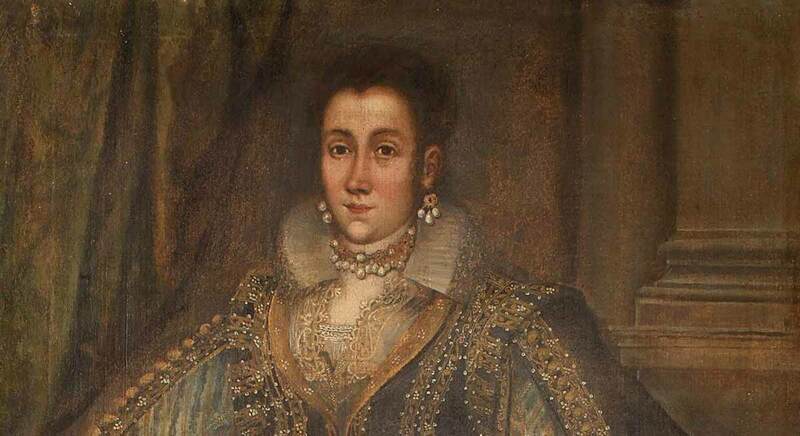 Caterina Cornaro (in Venetian the second name is “Corner”) belongs to one of the most powerful Venetian families. She was born on November 25th, 1454 in Venice and spent her early childhood in the family palace on the Grand Canal and later in a monastery near Padua. At 14, she married Giacomo II of Lusignano by proxy, king of Cyprus and Armenia. The wedding was proposed by her uncle Andrea Corner, exiled from Venice to the island of Cyprus. Needless to say that it was the classic marriage of convenience, and in this case there were many good reasons: the Cornero could better manage their possessions in the island, Venice could extend its influence on Cyprus and thus consolidate its control on the Mediterranean Sea, and finally Cyprus found thus a powerful ally in the struggle against Genoa, who yearned for Famagusta, and against the Turkish. Actually, Giacomo II delayed his marriage commitment because he tried to approach the Kingdom of Naples, enemy of Venice; however, the insistence of the Venetians and, above all, the Ottoman advance convinced him to respect the treaties and in 1469 he concluded an alliance that guaranteed Cyprus under the protection of the Republic. That’s how in 1472, when she was 18, Caterina left Venice on board of the Bucintoro to arrive in her new residence in Nicosia, where she got married and she was crowned queen. Less than a year later, in July, Giacomo suddenly died, leaving Caterina pregnant of their son, Giacomo III, who would be born the following month. Meanwhile the queen was excluded from the throne which was entrusted to a college of “commissars”. 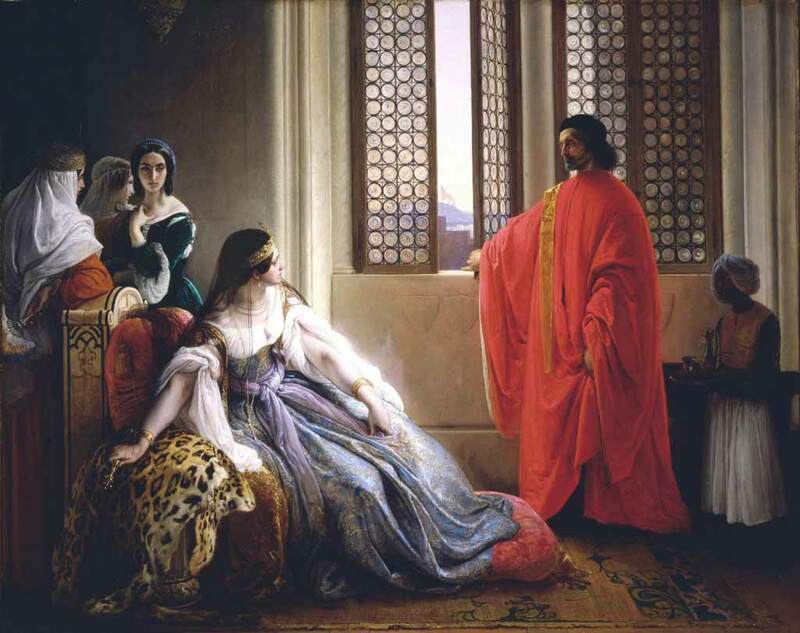 It was very difficult for Caterina to succeed in being recognized as Queen of Cyprus, but she resisted and remained until the Venetian fleet reached the island and restored order. From March 28th, 1474, the Republic of Venice affixed to Catherine a commissioner and two counselors, removing some of the queen’s trusted men from the island. Catherine, however, was a lonely woman, and the premature death of little Giacomo III made her increase her loneliness so much that she fell into depression. She was thus achieved by her father who helped her to overcome her illness and to improve her relationships with Venice, obtaining more freedom. There were two conspiracies by noble Catalans who tried to overthrow the reign of Caterina, both repressed by the Republic of Venice. After the second attempt, the Serenissima began to press for Caterina to return home and to surrender the kingdom to Venice in exchange for benefits worthy of a queen. 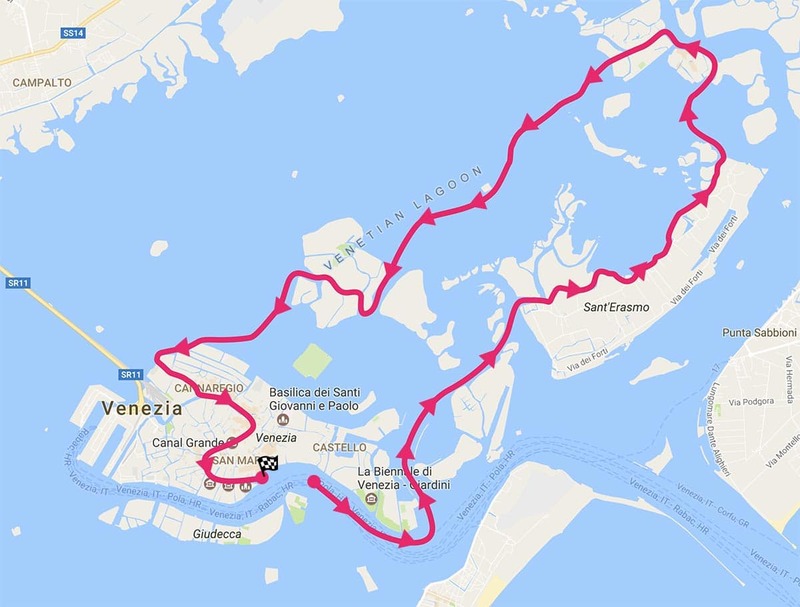 Caterina did not accept, but finally she had to surrender because of the intercession of his brother Giorgio Cornaro: on February 26th, 1489, dressed in black, she had to relentlessly leave the island forever and to return home, giving the island to Venice. 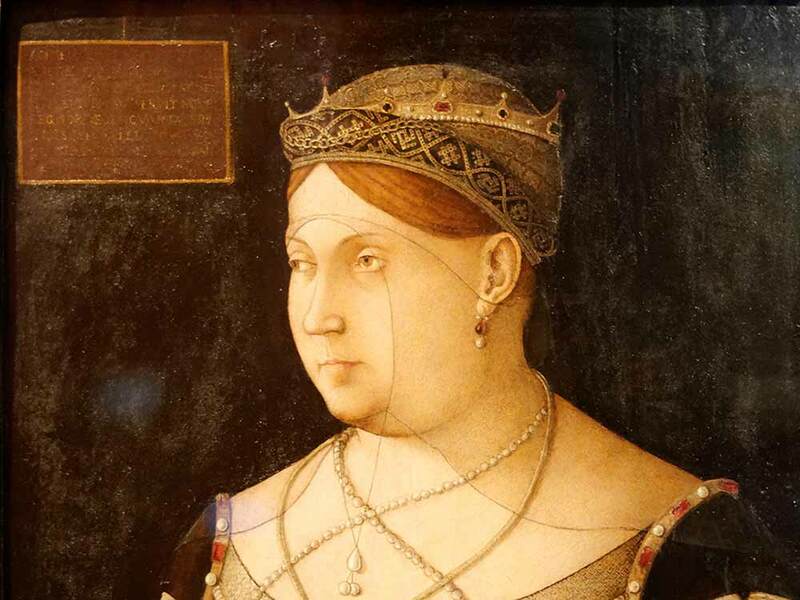 On June 6th, 1489, sitting on the Bucintoro next to Doge Agostino Barbarigo, Caterina made her triumphal entrance to Venice, which received her “daughter” with great affection: she was named “domina Aceli” (Lady of Asolo), retaining her title and rank of queen. 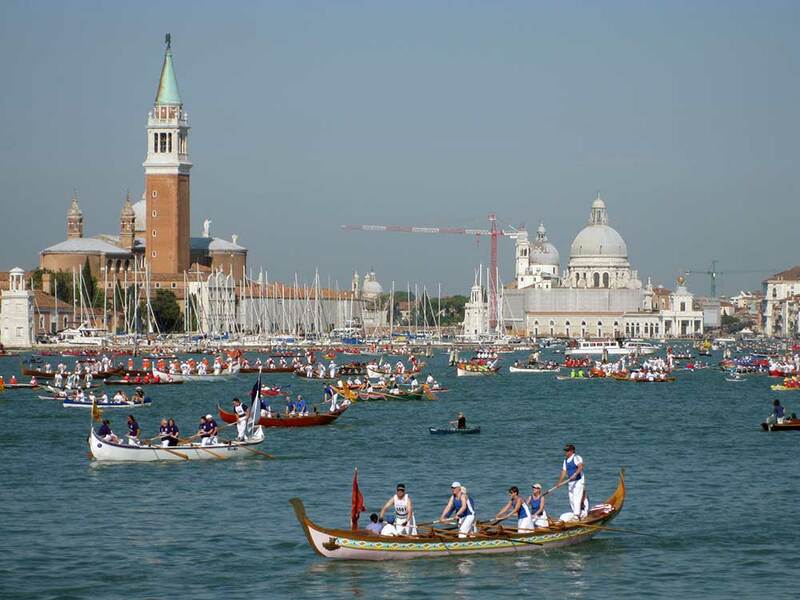 The historical parade of the Regata recalls just this episode: the embrace of the city to a strong and unlucky woman, who has always kept its integrity and dignity exemplarily. During the reign of Caterina, Asolo’s court became famous for welcoming famous artists and literati. 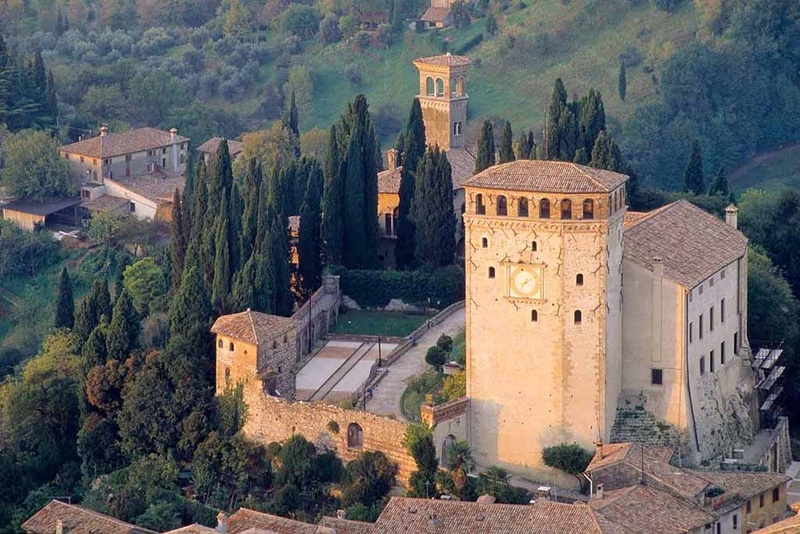 However, her life in the castle of Asolo was no less tormented: in 1509 she had to flee twice because of the advance of the Hapsburg troops, taking refuge in Venice, her city, where she died in 1510. They say that the crowd who wanted to participate to the funeral was so big that they had to build a bridge of boats from Rialto to Santa Sofia to allow a better outflow. Caterina still rests in the church of San Salvador, near Rialto Bridge.